Now in Paperback! And I’m giving a copy away. UDATE! THE PAPERBACK EDITION OF THIS BOOK IS PUBLISHED TODAY. THE WINNER OF THIS GIVEAWAY IS MARY KAY HARLAN. MKH: I WILL BE CONTACTING YOU SHORTLY. If you didn’t win, consider purchasing this book all the same–it’s truly a wonderful read for anyone who loves France and food. 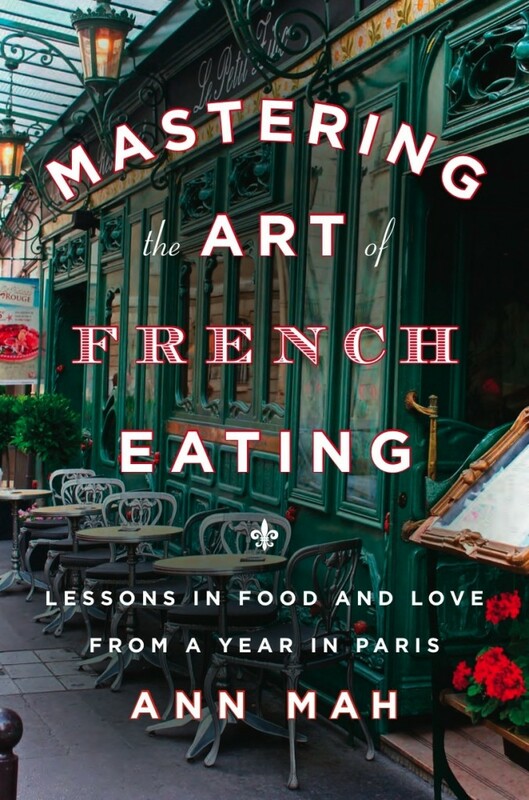 Have you read Ann Mah’s Mastering the Art of French Eating? If not, then it’s high time! : The book is soon to be released in paperback. Better yet–you could win this book. I will be giving away a hot-off-the-press paperback copy of the book on Tuesday, October 28, which is the official release date of the paperback edition. 1. That you’ve “liked” this post (otherwise, I won’t know!). 2. Which recipe you’d like to make from the book (see below). On October 28, I will randomly choose a winner from among the comments. Author Ann Mah and her husband, Calvin, get oh-so close to living the dream: His career as a diplomat lands them a 3-year stint in Paris. Hardly have they unpacked, however, when the couple get the call: Calvin is assigned a one-year post in Iraq; spouses are not to follow. With few friends and not a whole lot to do, Mah, a novelist and food and travel writer, finds herself alone in the city she had dreamed of savoring à deux. Soon, the weight of solitude bears down on Mah. 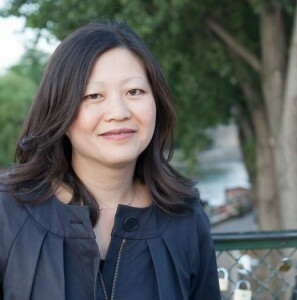 To combat her sadness, Mah gives herself an assignment: She’ll crisscross France, seeking out the stories behind the country’s most famous regional dishes, from choucroute in the northeast to cassoulet in the Southwest; from crêpes in Brittany to soup au pistou in Provence. We travel alongside Mah as she meets chefs, farmers, and restaurateurs, picking up history, insights, and cooking tips along the way. She uncovers nuggets that even veteran American Francophiles may not know (such as, for example, that the Aveyronnais are responsible for the proliferation of the Parisian cafés). You’ll love the fresh, vivid ways in which she describes touchstones of our Francophilia. When a waiter in Burgundy rattles off the region’s famed wines that are served by the glass, “It felt like a celebrity sighting.” Brittany’s cooks recite crêpe recipes from memory, “like a favorite poem or prayer,” while their buckwheat crêpes resemble “dark, shining lace…against clean white porcelain.” Again and again Mah reminds us why we love France, from “surprise glimpses of Notre Dame caught from the bus,” to “the small cups of coffee garnished with a paper-wrapped sugar cube” at the café. Which recipe intrigues you most? Post below to enter in my drawing. And thanks! Disclosure: I received a free copy of this book from the publisher; however, I was not obligated to cover it in any way. I haven’t had the opportunity to travel much in France beyond Paris so the recipe that intrigues me most is steak frites. I was just talking with my husband about this simple satisfying dish last night so I would love to read more about its history. Thanks for the opportunity. Great give-away. I would love to have a copy. We’re off to France next year and this would be a great read. I “liked” it and am crossing my fingers I will win. Well.. I am not familiar with this book. But since I really, really like your recipes and books, I’ll take your word for this book being one not to miss. So.. here’s my vote (and my name in for the drawing! ), hoping I’ll win a free chance to claim this cookbook. As for recipe I’d like to make, hmmm…. probably would most like to make Ann Mah’s recipe for Boeuf Bourguignon. I liked your post. I’d try and make the Boeuf Bourguignon (from you-know-where). Loved the post, looking forward to an authentic recipe for cassoulet. I am impressed that all my favorite cooks/chefs reviewed her book on Amazon. I would make Cassoulet from Toulouse, Castelnaudary, Carcassonne or Boeuf Bourguignon. I already have your crêpe recipe which I am perfectly satisfied for this be my go-to crêpe recipe. I don’t think it can be improved, unless you say otherwise. Like the post and I’d make the Cassoulet….love to win! Thanks for the opportunity. I give your Bonne Femme cookbook to my events clients as a thank you and point them to your blog…love it! Liked the post–and would love to have you make the cassoulet! Yum! I liked the post and I love all things French, especially the food. I am looking forward to her recipe for Steak Frites and I always love a good Boeuf Bourguignon. I love reading cookbooks and it makes it so much more enjoyable when the author shares extra details about the foods and region. This sounds like it will be a great book! i would love to try the crepe recipe! I liked your post! I want to make the cassoulet recipe in my All-Clad Slow Cooker! I miss France so very much! And love your posts, Wini! And I miss YOU. Love your blog!!! I am intrigued by the Aligot recipe. I’m drooling just reading about this book! I have liked the post. I would probably start with the buckwheat crepes but they all sound divine! I have liked this post and hope I win the book so I can make the crepes from Brittany. Yum! I liked the post and I think I would make Aligot – since I have no idea what it is! Sounds like a great book! The book is so interesting! I’d love to read about and try an authentic for the cassoulet! Would love to give this to my sister and brother-in-law for christmas! They live in paris now. I liked this post. I would like to make the cassoulet from Toulouse. I love crepes, so I’d try the crepes recipe. Not to mention, my husband’s cousin is marrying near St Malo this summer; we hope to attend, finances permitting. I liked the post, and would like to make crepes! I lwould love this book. I envIsion many a romantic evening with candlelit dinners with my handsome honey. Inwouldmstart with steak frites. I would like to make the pistou from Provence as I remember eating this at a little bistro with the waiter being so kind and showing me how to eat it. Lots of fun. Of course I would like to make the cassoulet also and maybe the crepes,then the steak frites, then beef bourgondie then…. I don’t just like this post, I love it. It was too hard to choose so I let my husband. He wants steak fries! Liked this post plus your post on FB. If fortunate enough to be selected, I would love to try the Salade Lyonnaise. I liked it! And I would make • Andouillette from Troyes. We stayed there on our honeymoon and had a less than great experience. Perhaps this would redeem my opinion of Troyes. I loved this book – felt like I was sitting across a table from Ann having a friendly chat all the way through. Learned many interesting facts about some of the foods from different areas. I’d love to make the cassoulet – one of my favorite foods. I love everything about France, especially the food! So difficult to choose just one, but nobody does Steak Frites like the Parisians, so I would start with that one. I would like to attempt crepes as soon as my kitchen get put back together and I have figured out induction cooking. Sounds like a delicious read!! I cannot wait to get my hands on the recipe for Cassoulet from Toulouse…something I’ve tried before, and failed miserably at so many times! Crepes! I just love them! Thank you for this opportunity! I’ve been wanting this book since it first came out! The Soup au Pistou from Provence would be great today. It’s chilly here! First, love to make the cassoulet if I could make (takes too long) or buy the confit of duck beforehand. Second, if I could buy the proper andouilette sausages in NYC, I would just grill them then serve them with frites and salade. Love andouillette since I love mystery meats even if I already know what’s in it. Just came back from two weeks visit of Paris and the Loire Valley. I drank and ate my way through the regions but did not have andouilette hence now I am salivating for one. Thanks, Ann, for this opportunity. Cassoulet from Toulouse would be my first recipe to try! I’ve eaten it only in restaurants, and it’s time to try it out and fill the house with that delicious fragrance. Definitely the crepes from Brittany! They’re my favorite thing to eat when I’m in France. Fall has begun in the Pacific Northwest, so I’m thinking the soup au pistou would be a welcome recipe to have on hand. At the end of August, my husband and I biked from Paris to London via L’Avenue Verte with Verde Natura (an Italian bike tour company). Highly recommend this company and their self-guided and guided tours. We had just enough time in Paris to take in a few sights and to take Lisa’s “Flavors of Paris,” tour . . . also highly recommended. The Promenade Plantée (aka la Coulée Verte) is a lovely elevated walkway that is FREE and well worth the couple of hours it takes to stroll to le grand lac in Le Bois de Vincennes! It was easy to like this because I’m a big fan. I like the Crepes from Brittany because I adore crepes. Thank you for your wonderful recipes. I need to master aligot which we loved in the Aveyron. It was beyond tasty. I would love this book. I have also liked your post. I just “Liked” this post and would like to make the Crepes from Brittany. Looks fab!! Am sure all the recipes would be fun…but have always wanted to make cassoulet and the aligot! Mashed potatoes with cheese?! I need to know how to make that. Oolala! So glad I stumbled on your website. Now I feel less guilty as I took a little break from work. The reason I feel less guilty, is that having lived in France for three years (Orleans) and now I live in Spain (Salamanca), I feel through you I have honoured my ex-country by promising to cook more it’s amazing food. Ok, that was pure waffle. I love cooking and eating good food! I have clicked like and I would like to make all the recipes because I am greedy. I’m itching for the release, your excerpt story is touching and heartfelt! I’ve “liked” your post, and excited to make Salade Lyonnaise! This cookbook is a MUST for my collection, I would so love to have it. I liked your post. I’ve always wanted to try Boeuf Bourguignon and definitely the steak frites!! I liked your post. Definitely want to try the Boeuf Bourguignon and Steak frites!!! I liked your post and shared it on Facebook. Now that the weather has cooled, I would love to try the cassoulet. I would love to win a copy of this book to give to my husband. The first thing we’d make would be the soup au pisou from Provence. Sounds delicious. It’s cassoulet weather, for sure! I just finished reading this book from the library, SO GOOD! I want a copy of my own to make cassoulet! nobody can cook the perfect steak frites like the French!